Self care can feel a bit selfish, sound a bit indulgent and easily become a low priority, especially for mothers. While moms are busy changing diapers, making meals, cleaning up messes, working, chauffeuring and trying to maintain a basic sense of balance and order in their family's life, their own self care takes a back seat. Actually, not just a back seat, self care is often times dropped off at the curb and forgotten about entirely. It's time to pick self care back up again and make it a priority. Clear off that front seat mamas, self care is back. Remember: A mother is the backbone of the family. She is the trunk of this beautiful family tree. But if the trunk is not thriving, nourished, strong and grounded, how will the limbs of the tree thrive? How will they grow and blossom and reach their full potential? Do not take your own self care for granted. Do not disregard and neglect it. The strength of your family depends on it. So here are 10 self care quotes to remind you to take take care of yourself, to nourish and nurture yourself. These self care quotes will inspire you to carve out time for the things in life that feed your soul and refresh your mind. When life gets too busy and the days are too full, when everyone needs something from you and you are holding up the world on your shoulders, remember to pause and reflect. What is it that you need? What is it that will ground you, strengthen you, feed you? Every single day, find your own way to focus on self care. Be kind. Be patient. Be generous. Be accepting. 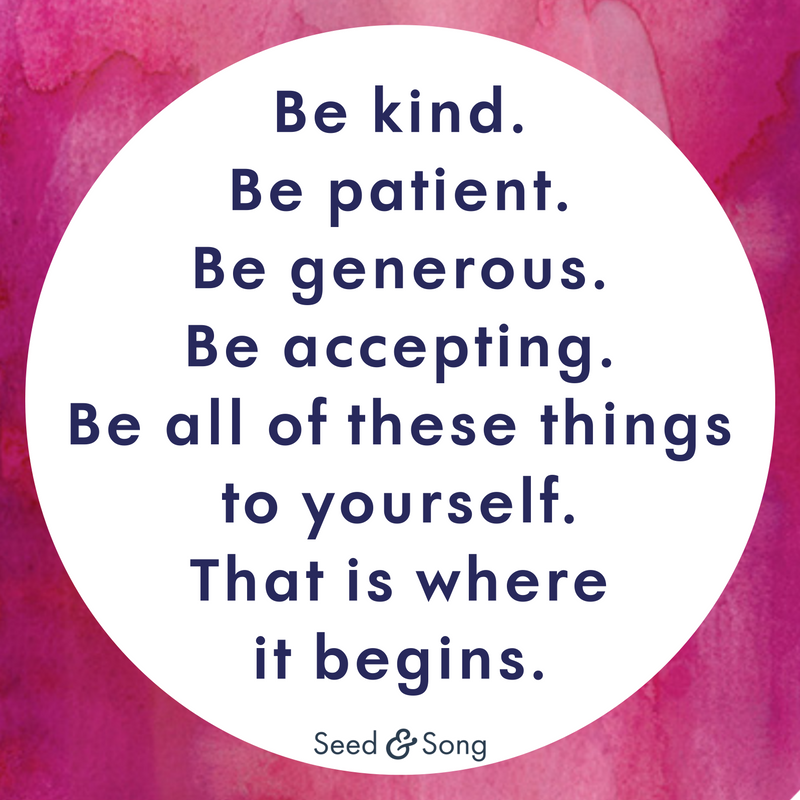 Be all of these things to yourself. That is where it begins. 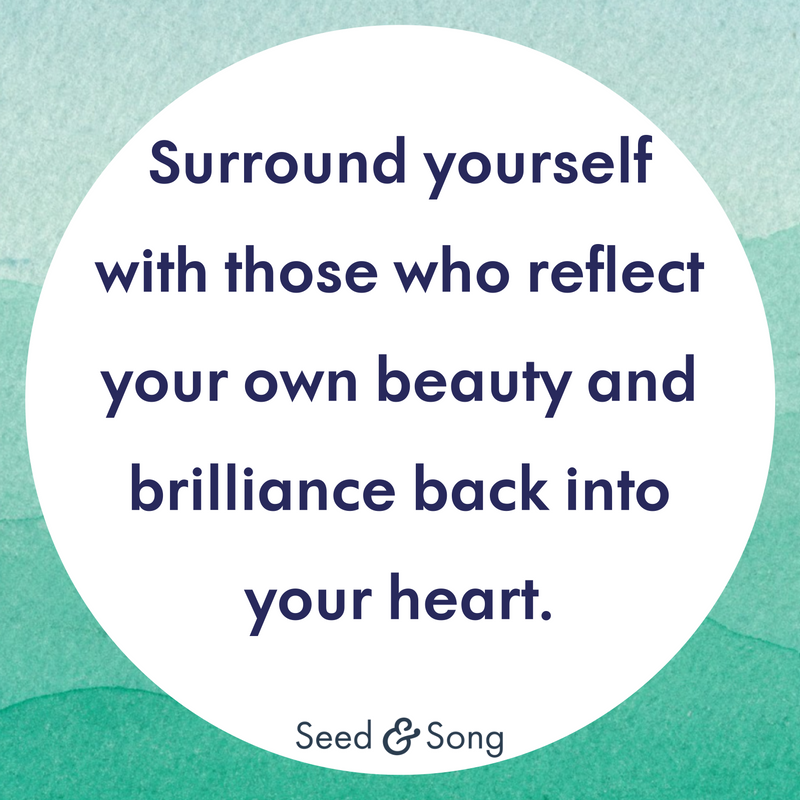 Surround yourself with those who reflect your own beauty and brilliance back into your heart. 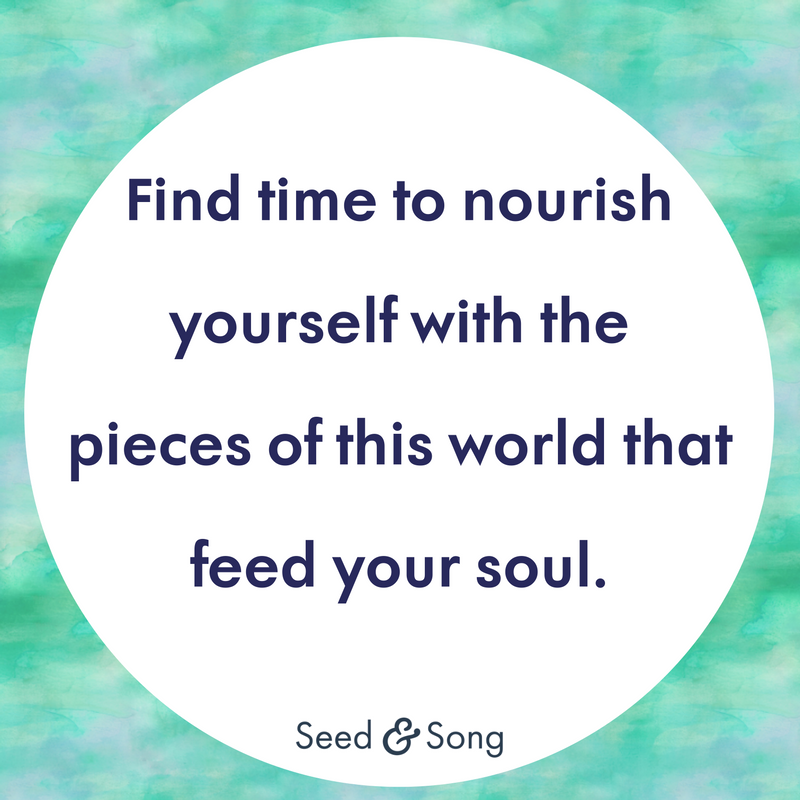 Find time to nourish yourself with the pieces of the world that feed your soul. Turn off the world and go within. Rejuvenate & refresh. Open your eyes and begin again. If you are to be a light for those you love, you must find ways to nourish yourself, to feed your fire & keep it burning. Self-care is not a luxury. Indeed not. It allows us to show up in this tumultuous world as the best versions of ourselves. This is your life and you are the curator. Be intentional. Be selective with what you let in. Breathe deeply and allow yourself to let go. If you were able to let it into your world, you are able to let it go. In moments of stress, a cup of tea & a deep breath go a long way. A walk. A deep breath. A stretch. A moment of silence. A smile. You deserve all of these.